Tents South Africa was established in 1992 and has grown into a well known and popular for tents for sale company. Our tents are manufactured with only quality materials and designed by the most experienced people on the planet. We pride our self because unlike most companies we give warranties and guarantees on our craftsmanship. With a big sale area located in South Africa, where the largest collection of tents in Africa, possibly in the world, is on display for sale. A distribution center is on the same premises, from where we supply Tents to worldwide. We have a factory producing large quantities of quality tents made from high quality fabrics especially those of canvas, steel & aluminum and heavy duty PVC that guarantees our tents fabric quality. We also stock various local and imported tents equipment for the corporate and individual customer. We provide unlimited solutions for all types of large scale temporary structure applications in the uttermost style and design. Our extensive range of tent structures are available in different sizes and colors. We can grantee total quality management and workmanship which guarantees that our products are well manufactured we lead, others follow. Our company has the required skills and techniques in the tents sales industry. We believe that experience delivers quality workmanship and quality products. Tents South Africa well known for tent sale and a famous name in makers who supply premium quality South African tents. We have earned a perfect reputation for delivering quality tents such as the Stretch Tents for Sale, Canvas Tents for Sale, Frame Tents for Sale, Army Tents for Sale, Peg and Pole Tents, Bedouin Tents for Sale, Military Tents, Storage Tents, Aluminium Tents, Pagoda Tents, Alpine Tents for Sale. Having traveled a long pathway has helped us to become a leading manufacturer and supplier of style as well as quality tents. Tents @ Best PriceBrowse and compare the best Tents prices on Tents South Africa. We have many different sizes in this style tent, available to purchase at affordable price. TentsTents for Sale. Tents South Africa is now the Wholesaler of Tents in South Africa . We stock Superior quality tents made with only premium quality materials. Tents South Africa gives best price when purchasing a tent from us. We have developed essential skill in making and supplying tents for your covering with superior materials specially those of canvas and Aluminum. Not only do we supply the high quality tents in South Africa, we also supply some of the most sought after and fundamental tent accessories in the country. Nothing has been overlooked at Tents South Africa, and we have made sure that our customers walk away with a fully comprehensive product. We manufacture & sale tents for covering, function, event, party & wedding with free delivery to your door. Get best deal on our tents compare and buy online with big discount. We supply top quality tents (marquees, shelters) to our customers because we have enormous experience in dealing with tents, marquees, shelters and canvas. Tents South Africa has pioneered the development of the extraordinary covering concept to create tents that deliver unmatched value to event businesses and commercial spaces across the globe. We have built our business on our commitment to quality, and have earned the loyalty of the customers who support us with our constant desire to improve, innovate and deliver tents that exceed expectations. Tents South Africa sets the standards for fabric performance and manufacturing quality for the industry. Our tents are engineered and certified to meet global fire and safety standards. We work hand in hand with our customers to develop and supply a product that works for you. Our Tents Sale department are always on hand to provide friendly support and expert advice when purchasing a tent. 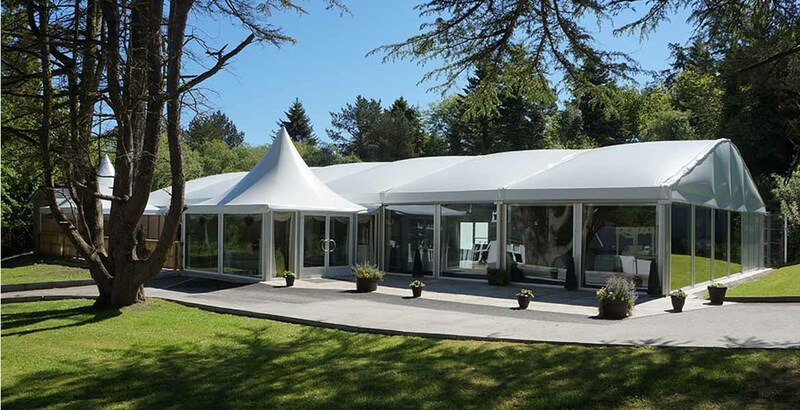 Stretch Tents for Sale - Our stretch tent fabrics have been perfected by a team of scientists to bring you weather-proof and fire retardant stretch tents that are perfect for any occasion, from parties, weddings and corporate events to film shoots or aid work. Canvas Tents for Sale - Canvas Tents are for situations where performance, weight and pack size are critical. Features and space have been pared down to the minimum required to maintain comfort and safety. Frame Tents for Sale - Frame Tents is one of our latest products in the tent series, which was designed by us. Frame tent has no centre poles and is supported by a galvanised steel metal frame extruded section. Army Tents for Sale - Army tent for sale South Africa's biggest army surplus and outdoor equipment supplier, importing goods from around the world at the most competitive prices. Get a quote today. Peg and Pole Tents for Sale - Peg and Pole Tents are the most cost-effective and popular of all the styles of tents. These structures are supported by pegs, side poles and centre poles that are hammered into a soft surface. Bedouin Tents for Sale - Create irreplaceable memories with a Tents South Africa Bedouin Tent inspired by the North American dessert tribes of old. We can transform venues into spectacular spaces. Military Tents for Sale - Tents South Africa offers new and reconditioned military tents made from heavy duty rip-block canvas, suitable for general use, short term housing, emergency shelter and disaster. Storage Tents for Sale - Economical and durable storage tents. Our large selection of storage tents for sale is intended to satisfy any economical outdoor storage application!! Fast delivery and easy setup! Aluminium Tents for Sale - Aluminium Tents work very well for many different types of functions. They are particularly useful where there is no option for shelter as they are stable as they are stable and weatherproof. Pagoda Tents for Sale - Pagoda Tents is a freestanding steel or aluminium frame structure which has a tensioned pyramid roof supported on a frame with no centre poles and is based on a square floor plan. Alpine Tents for Sale - Alpine Tents are large temporary structures. The peaks at the top of our Alpine Tents are designed for stability & have excellent aerodynamics, making them suitable for any weather conditions. 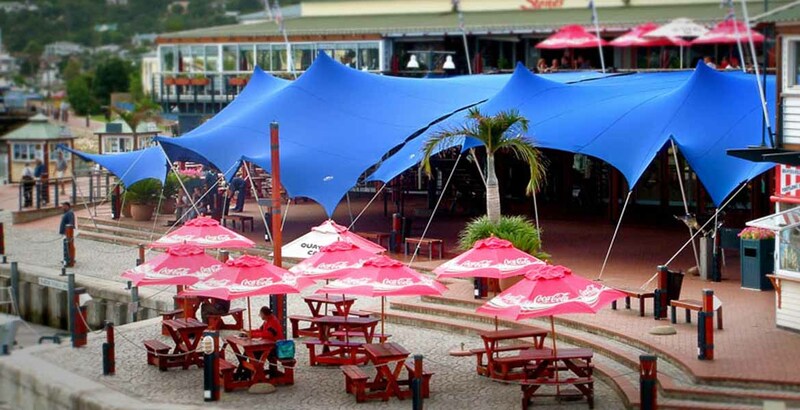 Tents South Africa specializes in selling of tents, marquees, canvas, shelters for covering. Buy Tents at best price Tents South Africa provide you with the best quality tents no matter what your tent requirement. Tents South Africa acquired core capability in manufacturing and dealing of high quality tents and fabricated made-ups especially those of Tents. Our mission of business is connoted with suitable delivery, reasonable price and extensive range of products. Today we have endless experience to the factories where our tents are manufactured include of world class machines. We supply top quality Tents to our customers in South Africa because we have enormous experience to the fabric and other related sectors. Customer satisfaction is our motto, which drives our complete activities. Through our strong and uniform dealer and distribution network, we have registered a strong foothold in global arena especially in the field of Tent Manufacturers We have accumulated a wealth of experience in the industry over the past 25 years. Together with our dedicated and professional staff and our delivery service we can assure you of the best service and total commitment in developing the most favorable solution to completing your tent experience. Tents South Africa is a manufacturer and supplier of Tents and Marquees at best deals. We manufacture and supply tents like stretch tents, peg and pole tents, alpine tents, Pagoda Tents, canvas tents, camping tents, Frame Tents, Function tents, Aluminum Tents, Bedouin Tents, party tents, exhibition tents, wedding tents, events tents, army tents, military tents, storage tents, relief tents, emergency tents, shelter tents, refugee tents, disaster tents, warehouse tents, Plastic chairs, Plastic Tables, Mobile Chillers, Mobile Toilets, Portable Toilets and whole tenting solutions at an affordable prices. We supply to countries like South Africa, Botswana, Kenya, Zimbabwe, Nigeria, Namibia, Angola, Swaziland, Mozambique, Lesotho and Zambia. 23 Delange Street Industriqwa Harrismith South Africa. Copyright © 19-04-2019 10:45:54 Tents South Africa. All Rights Reserved.